Off-White and Nike are going hard in 2018. 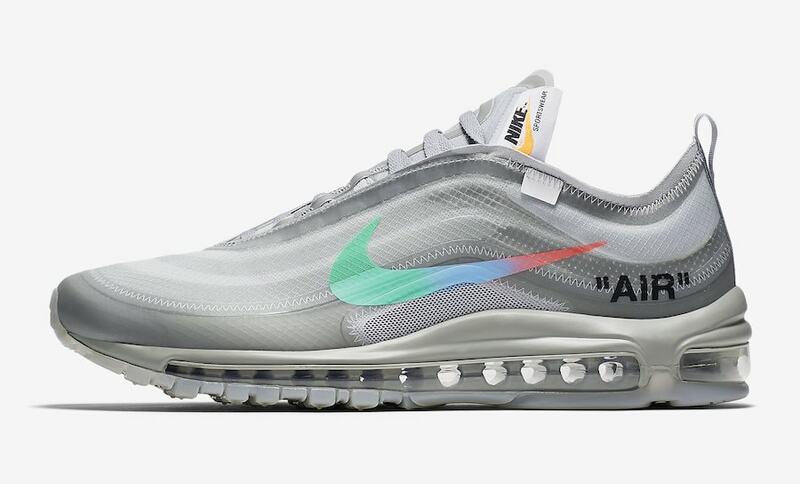 If the veritable mountain of footwear that has dropped this year has not already convinced you of this, maybe two more Nike Air Max 97 colorways can. It has been several months since we last got a good look at an upcoming Off-White x Nike footwear release. 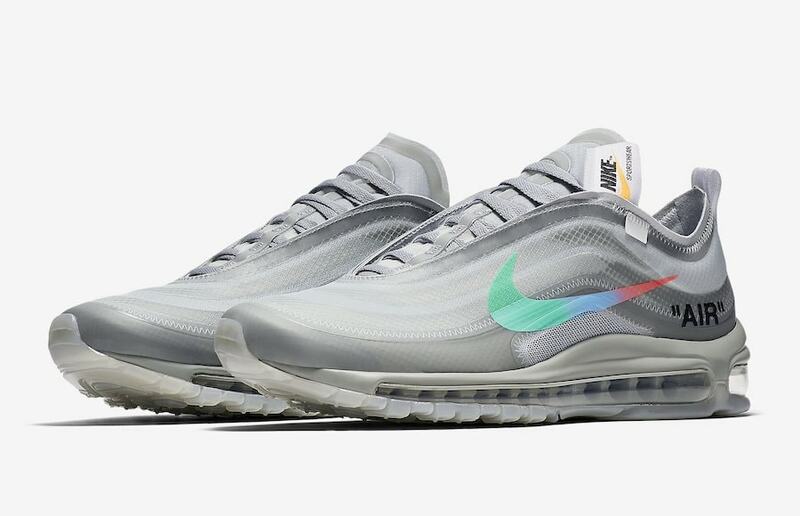 This week, official product images for a long-awaited Air Max 97 colorway have surfaced online, giving us a full look at what to expect from the “Menta” colorway. The last time we saw this unique Off-White Air Max was in June during Virgil Abloh’s Off-White fashion show in Paris. The runway was populated with all kinds of footwear, though sneakerheads were paying special attention to the two long-rumored Air Max 97 colorways that finally made their official debut. 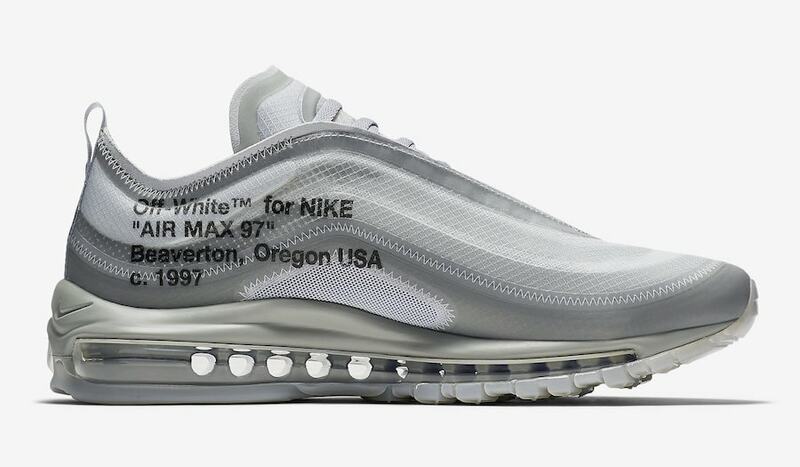 First leaked months ago, the Off-White x Nike Air Max 97 will launch in a two pack of grey and black colorways this November. 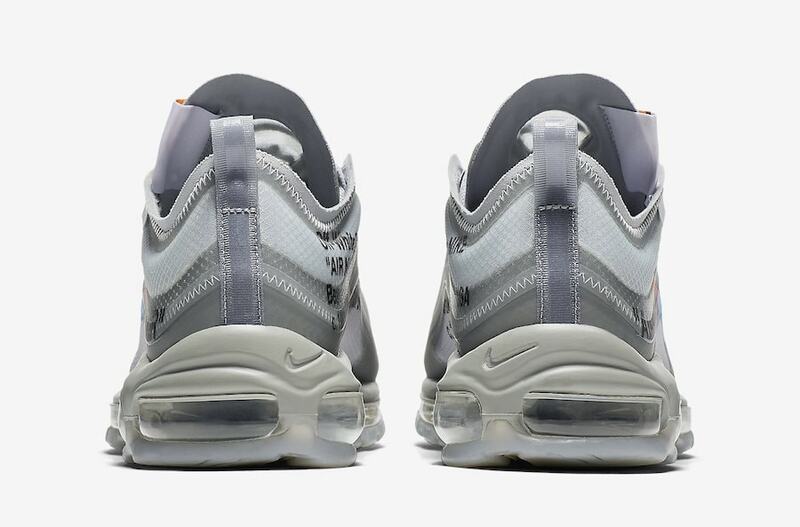 While the all-black pair is not unlike the black Vapormax or Presto from this year, the grey pair is something entirely new for Virgil and Nike. 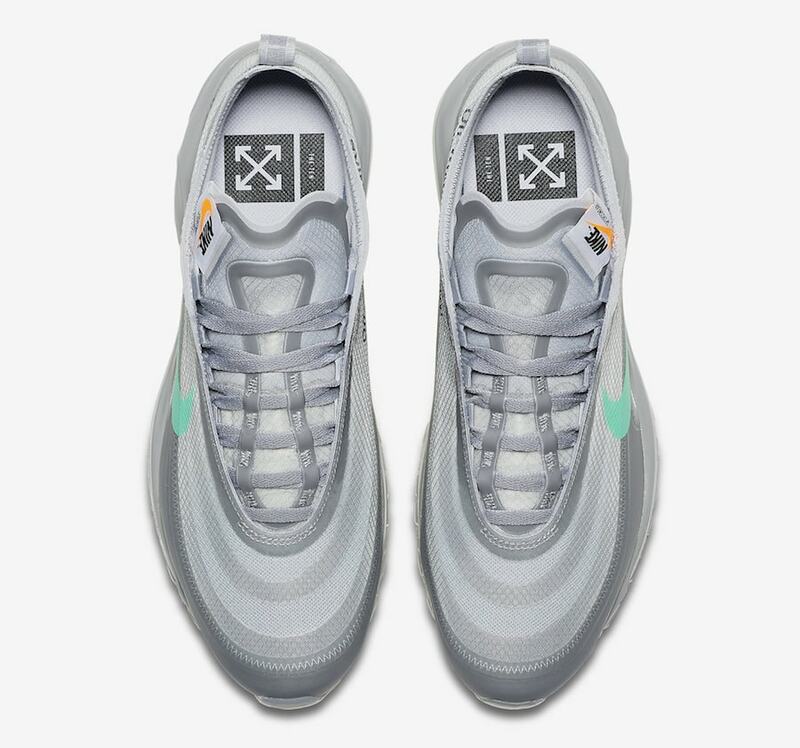 Currently referred to as the “Menta” colorway, the deconstructed AM97 featured a prominently grey upper made from the same translucent materials as past releases. However, this pair stands out with the addition of a large rainbow-colored Swoosh on the lateral sides. The only other place we have seen a similar coloring to this was on Virgil’s Nike project with Serena Williams. Off-White and Nike are rumored to be dropping the next colorways of their deconstructed Air Max 97 on November 10th, 2018. The sleek new “Menta” colorway is rumored to release alongside an all-black air, though this has not yet been confirmed. 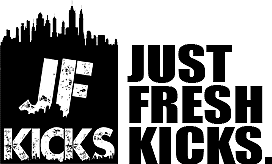 Check out the official images of the new rainbow look below, and stay tuned to JustFreshKicks for more Off-White x Nike news.